We have so many unbelievable Patriotic and American Party Supplies that you will not even know what to do with all of them. Decorate everything in red, white and blue so everyone at your event is feeling the American spirit all night long. 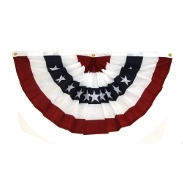 You should be able to find everything patriotic that you could possibly need for your party right here on our site. It is always good to have fun with a bunch of people that are all supporting the same cause. If you and your comrades are experiencing some extreme patriotism, there is no reason why you should not buy some of these supplies and throw a huge party. No matter whether you are celebrating one of the specific American holidays or you are just deciding to show off your true colors, we have everything in red, white and blue that you could possibly dream of. 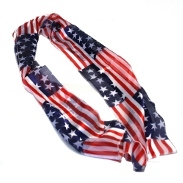 Get your flags, costume accessories, tableware and more so everyone is feeling the patriotic spirit. There are tons of awesome favors and decorations available as well, which will make sure that your party space is completely decked out with the colors of America. 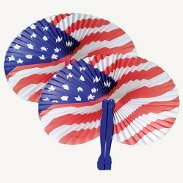 Use these products to show off how much you love your country and have fun with all of your guests that are lucky enough to attend. Our patriotic party supplies are nearly unrivaled, so you should be able to find literally everything you could possibly want. Look through our awesome inventory and find everything that you want. 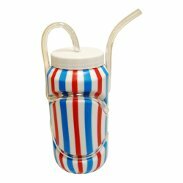 We hope you are able to fully supply your party with these patriotic products so you and your crew can have an awesome celebration. Have fun shopping through our online items today!